Smoking leads to arthritis as well!!!! This is my third post on the subject. My apologies to old patients (esp those who do not smoke or have left smoking). 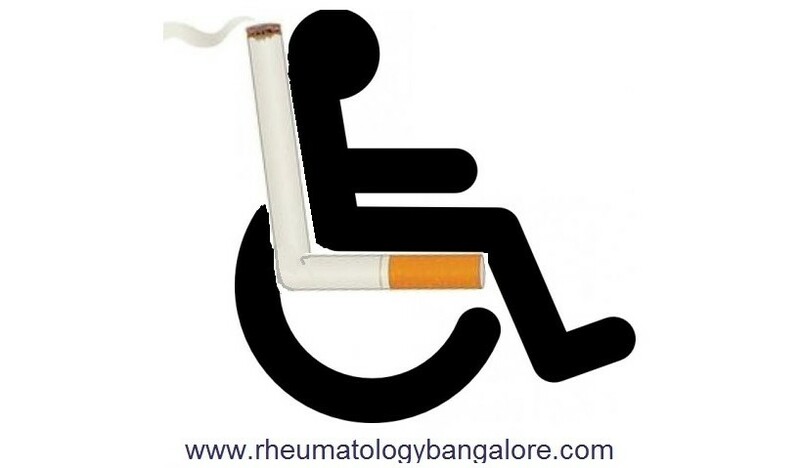 However we need to inform and remind new patients that smoking is very dangerous for your arthritis. Many arthritis (esp the diseases dealt with by rheumatologists) can potentially land you in a wheelchair. So it is good to give smoking before you come to that state. We have many experts and medications which can help smokers quit. Please let me know if I can help in anyway.